Feather Flags are built to attract customers from outside. Passersby and onlookers admire specially designed and attractive same day Feather Flags. 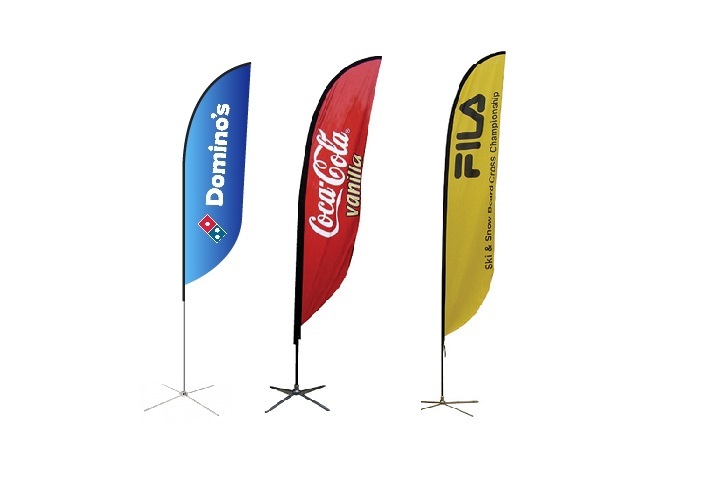 You can create customised quick Feather Flags to boom brand popularity by using them for introducing new products, brand promotion or slogans display outdoor. These inexpensive 24-hour Feather Flags are present as teardrop banners, swooper presentations, stock message pennants and flag stands. These banners are engineered to rise up in fair to mild weather, inclusive wind, rain or snow. For other printing products like brochures, roller banners, booklet printing services etc you can contact top rated printing company london. We have in-house production house at our Ilford Shop for Feather Flag Printing in London and you may contact us at [email protected] for any customised quote to fit your requirements.